Choose Forms + Responses if you want to import the forms along with the data. Otherwise Form Only should be chosen if there is no data. 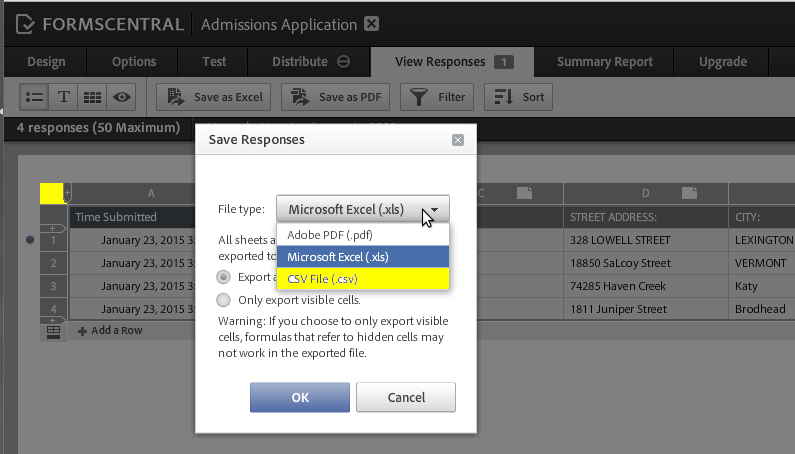 If you have PDF forms, you can also import them using the 3rd option. Then a file download will prompt to get the app and install it. So please install it and follow the instructions. The problem is that we are not allowed to keep your Adobe FormsCentral passwords on our end. 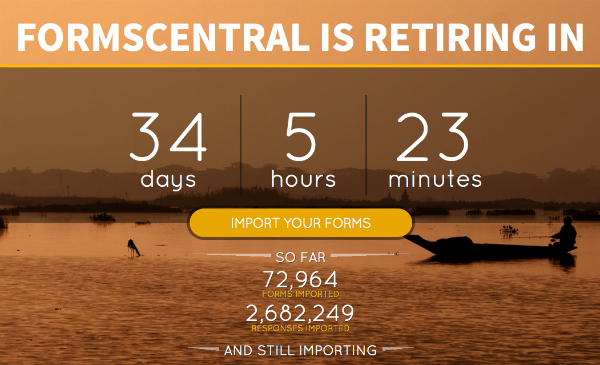 What we do is to log into formscentral from your computer and then use a 1-hour limited session ticket and use that to import your forms. Sometimes, if you have a lot of forms, we are not able to import them all on time. The solution is quite simple: Re-run the app and re-import your forms until you get all of them. Our app will continue where it left off. 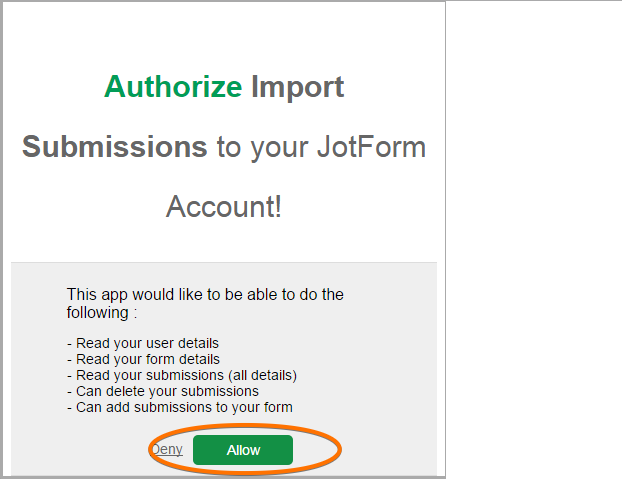 You must export your forms submissions and import them into Jotform. 1. While on your FormsCentral account, go to My Forms and select the form you wish to get the data from. 3. For this tutorial, let's select the whole table and then choose the CSV file option. Now that we have exported our data on a CSV file, let's proceed to import it into your jotform. 1. To properly import the data fields on your jotform, we need to match the data, so you should have all the same fields as on your Adobe form. Please add any if missing. On the new screen we get the information about the headers that we need for the import. This is the most important part of the steps that you need to take. 5. Check the template format section. It will tell us how exactly to modify the CSV file headers. *Full CSV headers and data used in this guide can be seen here. 6. As you can see there is also Time Submitted. We must add this field to our jotform first. 7. Repeat that 6th step for as many extra fields that you have. 8. Save the jotform and go back to import tool. 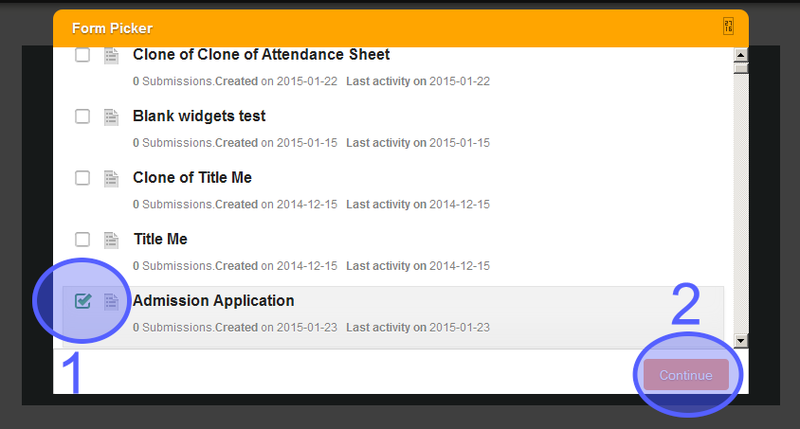 Click on Change form and select the same jotform again, forcing it to reload the fields. 10. Save the CSV file. 11. Select it for import. Es posible recuperar base de datos borrados? D0 you think that the method 1 will work soon or it's better for me not to wait and transfert everything by myself ? I have already imported the form and the response data from AdobeFormsCentral and I now want to get the responses that have arrived on the AFC form since that first import into JotForms. How do I only import a few responses? If I migrate a form into Jotform can it still be accessed on Adobe Forms Central? Jotform is not importing the attached documents in my forms. How can i get these to also be imported? I was able to migrate the form easily. I'm trying to edit background colors but can't figure out how to do it. Thank you JotForm, I'm switching from FormsCentral - can't wait to use all your great features! What Ralph said, I just want the blank form, how can this be done. I tried your steps but it pulls the old responses to customer entries that have already been processed. 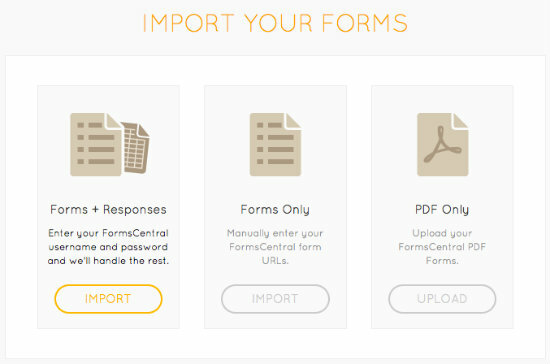 I dont care about submissions, I want to import the form i created on forms central to jot form. FORM ONLY, can this be done? Thanks for being so proactive about all of this! It seems to me that if I have a form which doesn't closely match one of your templates, i will have to add so many fields it would be better to just start again? Or am I missing something?